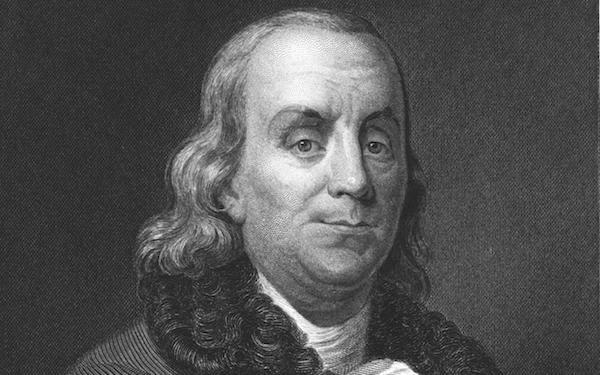 Maria Popova, the editor of Brain Pickings, recently wrote about one of these psychological forces called the Ben Franklin effect. She extracted this concept from a book on common self-delusions called You Are Now Less Dumb. In the post, which is very much worth reading, she writes we seem to believe that “we do nice things to people we like and bad things to those we dislike.” But the Franklin Effect rejects that idea. Our actions mold our beliefs, not the other way around. Your attitudes came from actions that led to observations that led to explanations that led to beliefs. Your actions tend to chisel away at the raw marble of your persona, carving into being the self you experience from day to day. It doesn’t feel that way, though. To conscious experience, it feels as if you were the one holding the chisel, motivated by existing thoughts and beliefs. It feels as though the person wearing your pants performed actions consistent with your established character, yet there is plenty of research suggesting otherwise. The things you do often create the things you believe. If the Ben Franklin effect is real and we reconcile our values to our actions, culture isn’t first written on a piece of paper and then manifested in the company. It’s the other way around. Employees’ behavior creates the culture which are then written down and posted on the wall. In which case, a startup’s most effective tool to influence culture is its hiring process. To create a strong culture, founders must select the candidates who will act in the ways consistent with the company’s values. Much easier said than done, particularly in this competitive talent-market. But at least with the Franklin Effect there’s some research to defend the hiring process.